DVD boxed sets provide fans with exciting behind-the-scenes details, expanded binge-watching opportunities, and often even charming and collectible keepsakes, which make them the perfect holiday gift. And as luck would have it, we’re living in the golden age for DVD collections. Whether your loved one prefers to time-travel in a TARDIS, learn about time and space, or be immersed a period drama, there’s something for every kind of film and television viewer in the sets featured below. 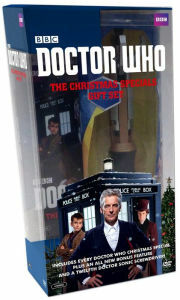 If you’re looking for a new holiday tradition, look no further than the Doctor Who Christmas Specials Gift Set, which features every single Doctor Who Christmas Special to date, all in one collection. How genius is that? And what could be merrier for a Whovian than watching the Doctor battle Santa Claus himself? There’s even a Twelfth Doctor Sonic Screwdriver included, so watch out, Daleks! Go beyond genre and explore the romance, science fiction, and history-spanning adventure of Outlander. What began as a beloved book series is now a must-watch TV phenomenon (which returns for its highly-anticipated second season in 2016). With this collection, old fans and new converts will enjoy not only all the drama and romance of season one, but an extended version of episode 9, “The Reckoning,” deleted scenes, and a gag reel, as well as an engraved flask, a collection of set photos, and the show’s exclusive soundtrack. 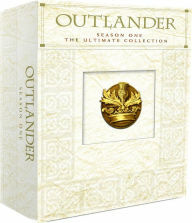 All this, plus the special Outlander Yule Log bonus disc, which will add a little extra festive spirit to the season. Great Scott! Johnny B. Goode! Save the clock tower! There is no better celebration of nostalgia, time travel, and Michael J. Fox’s undeniable charm than the 30thAnniversary boxed set of the Back to the Future trilogy. 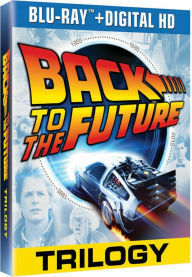 This collection contains all three movies, as well as the documentaries Outatime: Restoring the DeLorean and Looking Back to the Future, along with plenty of additional must-see footage. This will surely be on every fan’s Christmas list. Throw in the YAHTZEE: Back to the Future Collector’s Edition and you will be on the Nice List for the rest of time. All six epic films are included this definitive collection. 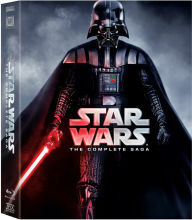 With hours of extra footage, interviews, and spoofs, even the most well-versed Star Wars aficionado will find something to love about this fantastic box set. Put a bow on a few extra books, especially Aftermath, in preparation for an all day viewing party before the next installment debuts, and the Force will surely be with you this holiday season. 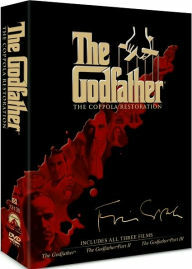 Don’t be the Fredo of your family this holiday season; make sure the film buff in your life owns The Godfather DVD Collection. These films have withstood the test of time, and the director’s commentary and behind the scenes footage will immerse you in the Don’s world. Enjoy the pinnacle of mafia storytelling and the legendary cast in this classic collection of movies that have influenced every organized crime film since 1972. “This time it ain’t just about being fast,” it’s about getting this action-packed DVD collection for your favorite family members. Vin Diesel is at his best in this series, and the nonstop pace of each movie is addicting. 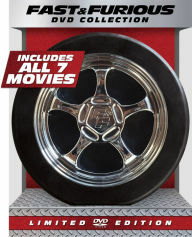 You don’t have to be a car fan to enjoy these either; anyone who loves a buddy movie, who likes a little romance, or wants a good heist will love these. Michelle Rodriguez is the ultimate tough girl, and The Rock makes a few great appearances, so this truly is a film franchise for everyone. Take two comedy greats and pair them with the legendary monsters Dracula, Frankenstein, Wolf Man, the Invisible Man, Dr. Jekyll and Mr. Hyde, and the Mummy, and you have a guaranteed crowdpleaser. Actors Bela Lugosi, Boris Karloff, and Lon Chaney Jr. reprise their famous monster roles for unexpected laughs in this genre-bending collection. 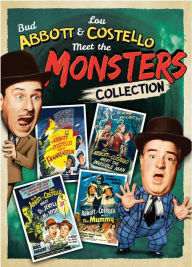 The Abbott and Costello fan will love the commentary tracks, the comedy junkie will appreciate the laughs, and that impossible-to-shop-for relative will enjoy this a lot more than the sweater you were planning on getting them. This BBC staple is part mystery, part historical fiction, and part war drama all rolled into one. 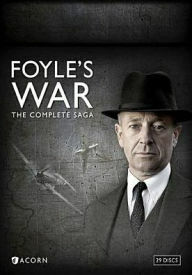 For the Downton Abbey fan who can hardly wait for the last season to air, or the Sherlock fan who needs more crimes to solve, the entire eight seasons of Foyle’s War will fit the bill. Satisfy your period drama needs with Foyle as he takes viewers from WWII to the Cold War, chasing down spies and solving international mysteries. This will quickly become the show you beg everyone in your family to watch with you. Over the course of six seasons, fans followed Deputy U.S. 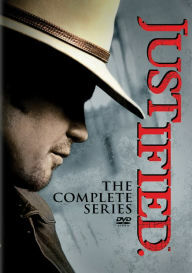 Marshal Raylan Givens as he dealt out cold hard justice. Now that the show is over, diehards can relive the experience with the 38 page Commemorative Book, the feature Leaving Raylan Alive: Making the Final Season, a gag real, and more than 24 hours of special features. Harlan, KY many be a place full of shady people, but you won’t get any shade from the person who receives this box set. Neil Degrasse Tyson isn’t just the guy who shares all those amazing science facts on social media; he is also the host of this much beloved National Geographic series that aired in 2014. 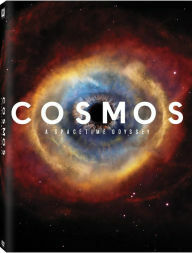 Based on the book Cosmos, and a follow up to the 80s series of the same name, everyone who is even a tiny bit interested in space found themselves glued to their TVs whenever it was on. Relive all the graphics, the swirling planets, the time travel, and the jaw-dropping realism that surrounds our beautiful blue marble. This is a DVD set that is as eye-opening as it is thoughtful; a moon shot gift for sure.